If you or someone you care about has been diagnosed with breast cancer, you probably have many questions. The African American Breast Cancer Alliance (AABCA) is here to help. Through our Breast Cancer Survivors Support Program (BCSS), we offer information, resources and support for people living with breast cancer, their caregivers, families, and friends. Monthly survivor support meetings are confidential and held at community locations. Support meetings are a caring and sharing place to meet others in various phases of treatment and survival. Meeting presentations and topics vary in response to the needs of the participants. At meetings, participants receive information on coping with the diagnosis, emotions, self-care during cancer treatment, stress management, proper nutrition and healthcare information. Our “Sisters In Survival” (SIS) members are also available to meet with newly diagnosed patients to provide one-on-one support and education. 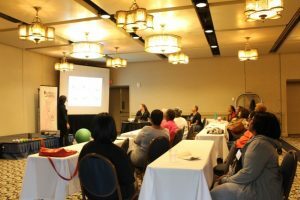 AABCA conducts educational cancer awareness presentations specifically for black women and men to community health fairs, businesses, groups, and organizations upon request. AABCA produced educational brochures and promotional materials are available for presentations and purchase. 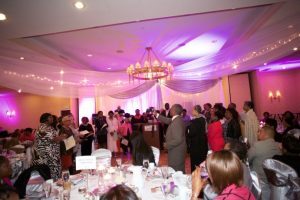 AABCA observes our organization’s anniversary milestones and celebrate cancer survivors in our community. These events are also an inspiring opportunity to recognize and thank the many people and organizations that support AABCA and you in your cancer journey. 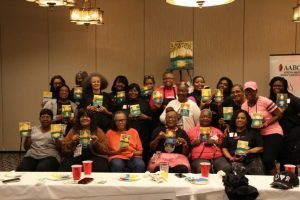 A weekend retreat for women to focus on life after cancer diagnosis, treatments and moving forward to survivorship. 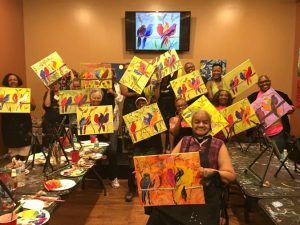 Participants enjoy a weekend of education, fun, pampering, relaxation, wellness and interacting with other cancer survivors.